Puerto Rico Tourism Company Hostelier ID: 06-01-13-1046. Our condo includes the following amenities: Master Bedroom with king size bed with private bath and a 40' LED TV with DVD Player, guest bedroom with queen size bed and a 32” LCD TV with DVD Player, studio room with a 50” LED TV and VCR/DVD player, ALL the TV have Cable TV, Air Conditioning in the entire condo, and Hot Water. Gel Memory Foam Topper on both bedrooms mattress design to help relieve pressure points, relax muscles, and for extra level of comfort. For the extra guest we have an Airbed Full Size. For our guests enjoyment, our condo includes three sets of snorkeling equipment, complete poker set with table top, two boogie boards, cooler, beach chairs, beach towels, and binoculars that guests can use when sightseeing around the island. Also, there is a selection of DVD movies in the studio. There are action, drama/suspense, comedy, documentaries, classics, and even children's titles available, perfect for watching your favorite movie after a long day at the beach. Puerta del Mar is one mile drive from of the best beaches of the Caribbean 'Crashboat Beach'. Our condo includes a Wireless Bluetooth Speaker (rechargeable) that guest can use for both indoor and outdoor music listening. With Bluetooth functionality, the speaker lets you wirelessly stream audio from tablets, smartphones, and other Bluetooth-enabled devices. Guest will be able to stream music on the beach or other outdoor activity for up to five hours per charge. 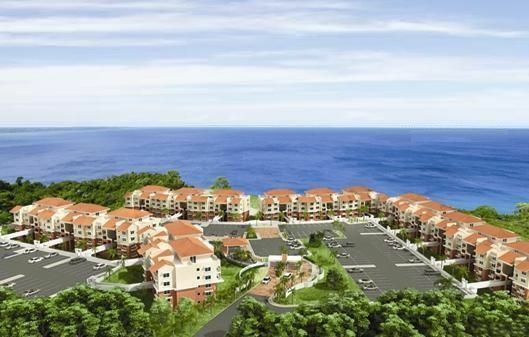 This condo is only a ten minute drive to the Rafael Hernandez Airport (BQN) in Aguadilla. Upon reservation, we will give you more detailed driving instructions from both airports (SJU and BQN) to Puerta del Mar that will include descriptions and pictures of all the road signs, this will be provided via e-mail or mail.Our unit includes detailed driving directions to many of the area attractions. Aguadilla is known as the 'Garden of the Atlantic.' The name comes from the colorful sponges and marine life prevalent in this area. It is also internationally known for its world-class surfing beaches. Aguadilla’s most popular surfing beaches are Gas Chambers, and Wilderness. Crashboat Beach is famous for its crystal clear waters. Other spectacular and almost desolate beaches are nearby (5-15 minutes). Visit the “Punta Borinquen Golf Course', only a 10 minute drive from Puerta del Mar. Shopping, Horseback riding and other tourist attractions are also found in our neighborhood. As you can see we are well located in an area of spectacular beauty. * Crashboat Beach (1 mile from condo) - There is ample shade and picnic tables if you choose to spend the day. You can purchase food from the snack shop in the corner of the parking lot. * Las Cascadas Aquatic Theme Park (2 miles from condo) - The biggest aquatic theme park of the Caribbean, the park offers many different attractions. * Christopher Columbus Park (4 miles from condo) - Set on the shore line with a beach, a children's playground, and recreational areas. This beach offers a romantic boardwalk along the beach. * Ice Skating (6 miles from condo) - This facility is the first of its kind in the Caribbean. * Aquatica Dive, Surf and Bike Adventures (8 miles from condo) - scuba trips, PADI and SSI certifications. * Punta Borinquen Golf Course (2 miles from condo) - This course was played by such well-known generals as Dwight D. Eisenhower. * Tropical Trail Rides (8 miles from condo) - Guided tours of secluded beaches, tropical forests, and cliff caves. * Wilderness Surfing Beach (3 miles from condo) – A major surfing beach. * Aguadilla Shopping Mall (3 miles from condo) – More than 75 stores. * El Pueblo “Downtown” (2 miles from condo) - Shop around for jewelry, tropical clothing and handcrafted souvenirs made by local artisans. Hostelier ID (TAX ID): 06-01-13-1046. Leonardo is originally from Puerto Rico, although he and Amy have called the Northern Virginia suburbs outside Washington DC home for the past 10 years. Leonardo, Amy, and their two dachshunds love to travel and frequently vacation in Puerto Rico, spending time with family and enjoying the many beautiful beaches and tropical forests. Leonardo seized the opportunity to purchase this condo and spent nearly a year decorating and furnishing the condo. Leonardo and Amy view the condo as a true second home and enjoy spending as much time there as their schedules permit. Aguadilla is called the “Garden of the Atlantic.” This nickname was given for the many colorful sponges and marine life prevalent in the Aguadilla Bay. Aguadilla has many excellent scuba diving, snorkeling, and surfing spots, not to mention some of the best beaches in Puerto Rico. Aguadilla has its own international airport (BQN), part of what was Ramey Air Force Base. Another Ramey remnant is the 18-hole Punta Borinquen Golf Course. Designed originally for President Eisenhower, the course is open to the public and features spectacular ocean views. Aguadilla’s location also makes our condo an excellent home base for exploring western Puerto Rico. The condo is truly a home away from home. Leonardo & Amy have tried to include many details to make their guests feel welcome and relaxed. For example, all beds and bath linens are premium quality and all basic toiletries are provided for guest use. The owners even provide beach towels for use at either of the two complex pools or nearby beaches. But perhaps the best feature is the location itself. The complex is situated up on the cliff overlooking famous Crash Boat beach and the entire Aguadilla Bay – arguably one of the best views in all of Puerto Rico. Two parking space assigned to the condo. (3) ALL of our Flat Screen TV have Cable TV and ALL have DVD Players. Our condo includes a Radio/CD Player. We also have a Wireless Bluetooth Speaker that guest can take to the beach. Condo is very nice the owner has everything you need for your stay. Communication was great as well. It was a quick 10 minutes from airport and tmif you arrived late at night like we did there are plenty of gas stations with markets to buy food and the Hot bread my family cant life without. Thanks again for making our stay comfortable. Our group of five had an amazing trip. The Puerta del Mar condos have a very resort type feel with friendly staff and security for a very homey feeling. Leonardo and Amy have an amazing condo which included everything needed to make our stay totally enjoyable. They went above and beyond even supplying items for all of our excursions. They are also very knowledgeable of the Island if you need any advice. Hi Nate, thank you very much for sharing your experience! It was a pleasure and a priviledge having your group as our guest! Gracias!!! Nice end of the a year in Aguadilla! This is a nice place to stay!! Convenient location. Pool area is amazing with a beautiful view to the ocean!! this place was awsome i loved the condo it had everything at your finger tips the owners not only rents you the place but they make sure you don't need anything from scuber gears to boogie boards for your kids from kitchen utensils clean towels and a beautiful clean condo very well taken care of i would recommened anyone who wants to stay and just relax have fun and be worried free this place is so perfect it made a impact on my wife and kids that i am actually considering purchasing a plae as beautiful as this one once again thank you for sharing such a beautiful place with my wife and kid's have a great new year oh and also this was a perfect location to visit my parent's it's a perfect location. We were pleasantly surprised by the attention to detail given to this rental experience. They had everything covered! We arrived to the property at 530am after exhausting overnight travel. The fridge was stocked with breakfast essentials, place was very clean and super comfortable! And, for beach days chairs, umbrellas, towels, coolers and more were all readily available for our family’s use. This was so convenient! The view from the main pool on property is absolutely stunning. Overall we had an awesome time. The only negative that I can think of is that we had to come home. Thank you Leonardo and family! We look forward to visiting again. About ten (15) days prior to your check-in date you will receive detailed instructions via e-mail on gaining access to the condo along with very detailed driving directions from the airport to the condo. The e-mail will also include our rental rules and additional useful information. Hostelier ID: 06-01-13-1046.